Fuzzball & Scuzzball - Activate! This is one of my favorites, because 1.) It's big, 2.) 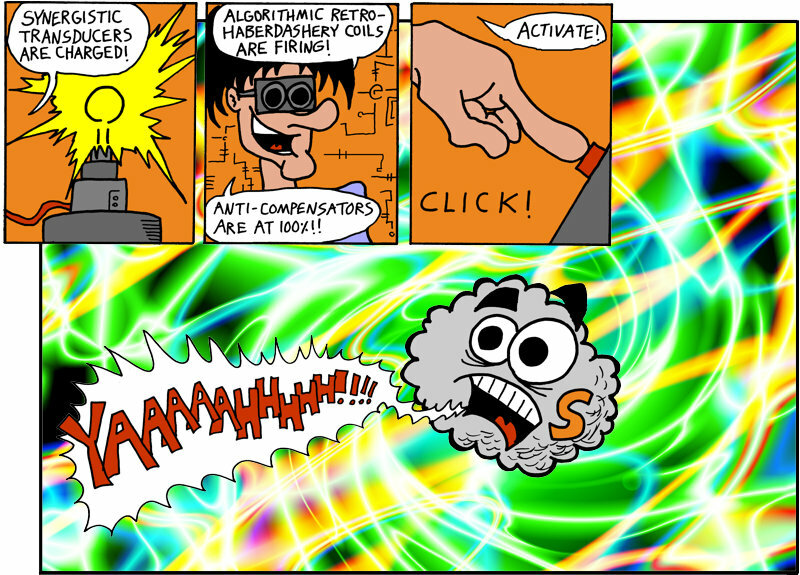 I like the technobabble, particularly the algorithmic retro-haberdashery coils, and 3. )the background on the last panel looks cool. Number 3 is thanks to my friend Ray, who did the special effects on this one. Thanks again, Ray! We'll be seeing more of his work next week. And if you'd like more technobabble, check out this Technobabble Generator I wrote.